I perceive that I was born with a highly competitive nature and yet, particularly the first thirty years of my life, I was an obvious underachiever. I’m sure the same can be said about countless people worldwide. In fact, it would not surprise me if some who are reading this blog today sense they too fall into this category. This is how I picture myself in those early years: I was a loaded weapon with no triggering device. Then, the Lord saw fit to send that missing component my life so desperately needed. Although He used a fellow postal employee to deliver it, the triggering device was God’s love. I’ll try to be simple but more specific. I’ll begin by sharing these few lyrics of a contemporary Christian song by Jason Gray, entitled “More Like Falling In Love.” “It’s gotta be more like falling in love than something to believe in, more like losing my heart than giving my allegiance.” I can relate to this sentiment because I committed my life to Christ on the day I became aware that, despite the mess I had made of it up to that point, God actually loved me. When I understood He offered me forgiveness and the promise of everlasting life to go along with it, I quickly responded and gratefully accepted His offer. Before then, I had not responded to such things as programs, methods, biblical doctrine, or church invitations. I didn’t need that; I needed to be told that I was loved. When that message sank in, I literally fell in love with Christ in return. This is the main missing component in all attempts to draw people to Jesus. Whether in church, door-to-door, or in personal testimonies, many try to bring others to their church, religion, or even to God, forgetting that God’s first step in bringing others to Himself began with His love. I won’t even include John 3:16 here because all of you know it, most of you by memory. If you have the love of God in your heart, you’ll have a genuine love for people too. Remember, before you tell others about the Bible, or your church, religion or pastor, they need to be told that God loves them. And if they can see or sense that you love them too, that will increase your chances even more. 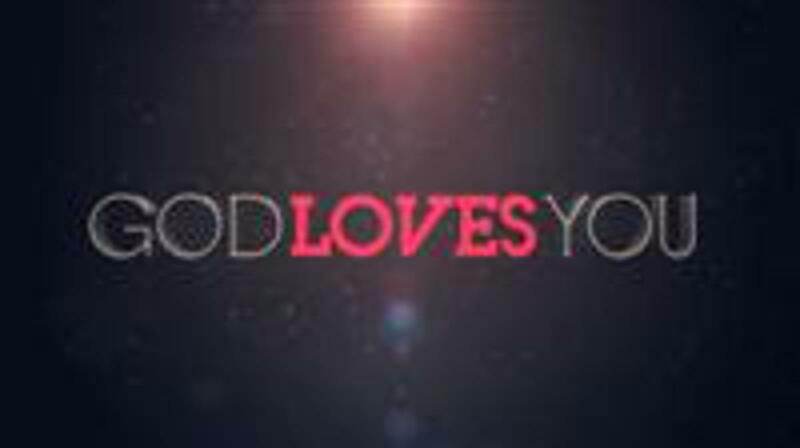 Few things are better than knowing we are loved. Memory verse for the week: (Isaiah 41:10) So do not fear, for I am with you; do not be dismayed for I am your God. I will strengthen you and help you; I will uphold you with my righteous right hand. PS: A sincere thanks for those of you who take the time to send your kind email comments. They encourage my heart as well. Also, if these meditational thoughts are a blessing to you, share them with others or give us their email addresses, assuming you get their permission first. I’ll be glad to add them to this mailing list.